We have a new leader in the LONG DISTANCE AWARD contest at Funkhana.com. 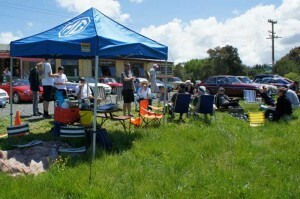 The New Zealand MG Car Club of Auckland graciously sent in a report of their funkhana held more than 8,000 miles (13,000 km) from our home base in Ohio. It was conducted on a grass field, conveniently adjacent to a country restaurant. 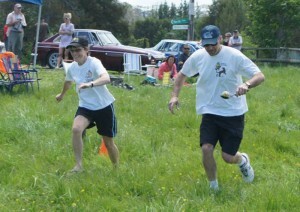 The Egg-and-Spoon Carry began with both team members outside of the car performing a Le Mans style running start. The Blindfold Slalom utilized for the blindfold an inverted grocery bag imprinted with someone’s facial image.